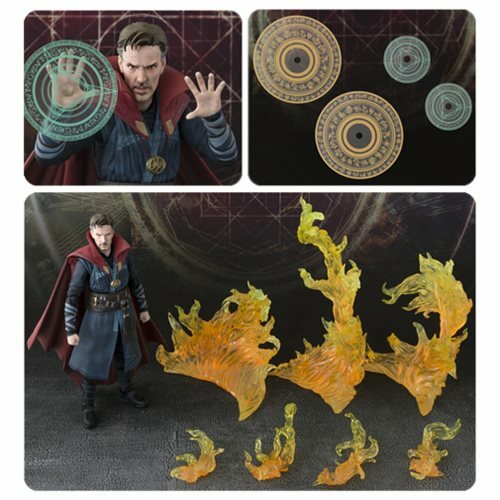 6-inch action figure of superhero sorcerer Doctor Strange. Set includes interchangeable heads, hands, and flame and magic effect parts! Digital coloring creates expressions true to Benedict Cumberbatch's movie character.